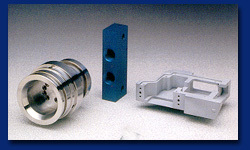 Privately owned, Torley Precision Machining operates in a modern, state of the art facility in Oregon. We employ just over 20 exceptionally skilled professionals. Our machinists average 20 years in the business, and each is fully versed in Computer Numerically Controlled (CNC) machining. We believe in looking for and hiring the best, then we do what it takes to keep them. Turnover is low - a real advantage to the companies we work with. It is these people, as well as our size, that enable us to provide each customer with the one-on-one familiarity and responsiveness that's so critical to manufacturing. As a result, most of our clients have returned to Torley Precision Machining time and again. And whether we are at an engineers office in Singapore, pulling CAD drawings off the internet, or getting a Dublin factory back on-line, we're with the job from inception forward, dealing with every step, from prints and models to final assembly.